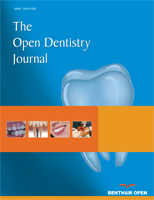 The objective of this study was to compare changes in maxillary and mandibular dental arch dimensions in cases treated nonextraction with conventional appliances and self-ligating Damon System. initial (T1) and final (T2) dental casts of 45 patients with Class I malocclusion treated nonextraction, with slight to moderate crowding, divided into two groups. Group 1: 21 patients treated with self-ligating Damon appliances, at a mean initial age of 18.37 years and mean treatment time of 2.11 years. Group 2: 24 patients treated with conventional appliances, at a mean initial age of 19.50 years and mean treatment time of 1.99 years. The model analysis was performed; Little irregularity index was used to evaluate crowding and arch form was evaluated by measurements in maxillary and mandibular arches including intercanine, interpremolar (first and second premolars) and intermolar distances and arch length. The intragroup comparison was performed with dependent t or Wilcoxon tests and intergroup comparison, with independent t or Mann Whitney tests. In intergroup comparison of treatment changes (T2-T1) the Damon group presented an increase in maxillary transversal dimensions significantly greater than the conventional group. The change in maxillary arch length did not show difference between the groups. Regarding the mandibular arch, the Damon group presented a significantly greater increase in intercanine and inter first premolars than the conventional group. In The mandibular arch length, the greater and significant increase was observed in the groups of patients treated with conventional appliances. The treatment with the Damon appliances resulted in a significantly greater increase of maxillary arch dimensions when compared to conventional appliances. Mandibular intercanine and interpremolar distances also presented greater increase in Damon than conventional appliances. The increase in mandibular arch length was greater in conventional than in Damon group. Keywords: Corrective orthodontics, Dental arch, Damon appliances, Mandibular intercanine, Orthodontic appliance design, Treatment outcomes. © 2018 Lima et al.